Bonner General Health’s Cardiac Rehabilitation department offers a physician-referred, R.N.-supervised program for individuals who have had bypass surgery, stents, heart valve surgery, a heart attack, stable angina, or congestive heart failure. Through physical conditioning, education and counseling, the program is designed to speed recovery and safely return individuals to a full and productive life. The Cardiac Rehabilitation program provides the support and direction you’ll need to make necessary life-style changes. Cardiac Rehabilitation focuses on gradually increasing your physical fitness levels in a safe and supervised environment. Participants learn the importance of exercise, guidelines for safe exercise, recognizing when to slow down or stop, and symptoms to report to their physician. 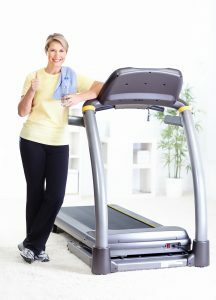 An exercise program is designed specifically for you and includes aerobic exercise, strength training and stretching. During your exercise session you will be closely supervised and monitored with an electrocardiographic (ECG) monitoring system. Your blood pressure, heart rate and oxygen levels will also be monitored. After you have completed the ECG-monitored program, you may enroll in a heart healthy maintenance program. In this phase of the program, emphasis is placed on supporting and maintaining your exercise program and lifestyle changes. Understanding and learning about your condition is critical to your recovery. Educational sessions are provided to help you increase your knowledge and understanding about your heart condition. A variety of topics are covered including modifying risk factors, nutrition and diet, and stress reduction. In addition, the Cardiac Rehabilitation staff is available to you for individual counseling. Your family members are invited and encouraged to attend the educational sessions with you. The program is offered every Monday, Wednesday and Friday. A physician’s referral is required for this program. Talk with your physician or call the Cardiac Rehabilitation department for more information about joining the program. The ECG Monitored Cardiac Rehabilitation program is covered by Medicare. Many private insurance companies will also cover this program. Please consult your insurance carrier for coverage information. Cardiac Rehabilitation at Bonner General Health consists of a comprehensive team of medical professionals. While you are in the program, your treatment and care is carefully monitored by registered nurses specially trained in cardiac rehabilitation. Your physician plays a vital role in the Cardiac Rehabilitation program. 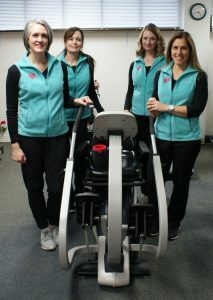 Other disciplines, such as Physical Therapy, Social Services, and Dietitians are included in the team as needed. If you would like more information, please call our Cardiac Rehabilitation department at (208) 265-7480.